BORA BORA, the Polynesian island known as ‘the jewel of the South Seas’ is famed for its sumptuous luxury, stunning white sandy beaches and clear pale blue lagoon. 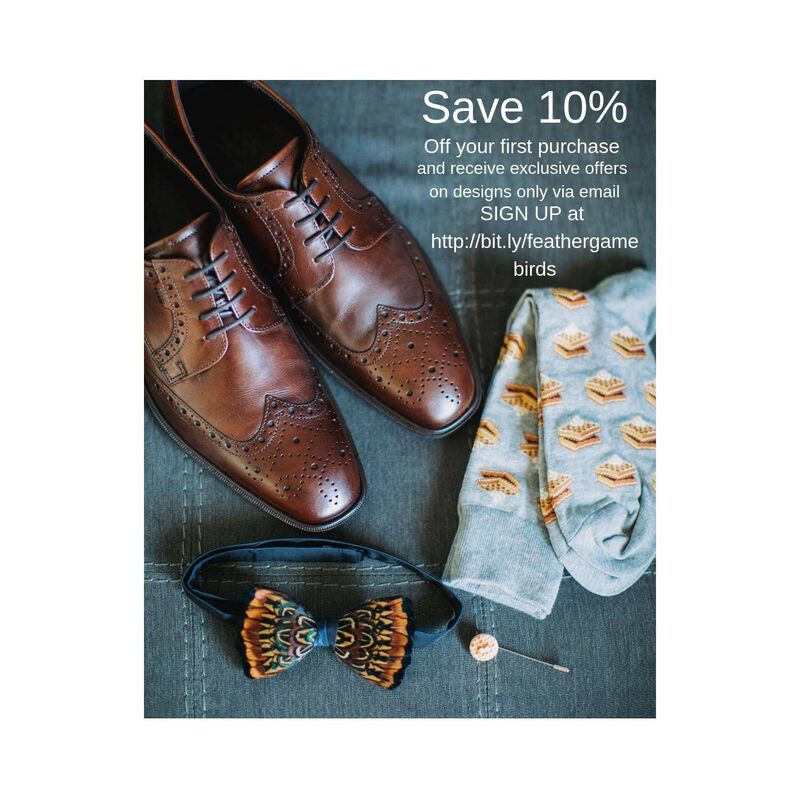 Once known as the island ‘created by the Gods’, it is said that once seen, its beauty cannot be forgotten and this exquisite handmade pheasant and peacock feather bow tie delivers the very same effect. Inspired by the islands mesmerising colour palette, and designed exclusively by Plumassier artist Tracey Telford, this combination of individually hand placed carefully crafted pheasant and peacock feathers represents creativity, influence, integrity and vision. 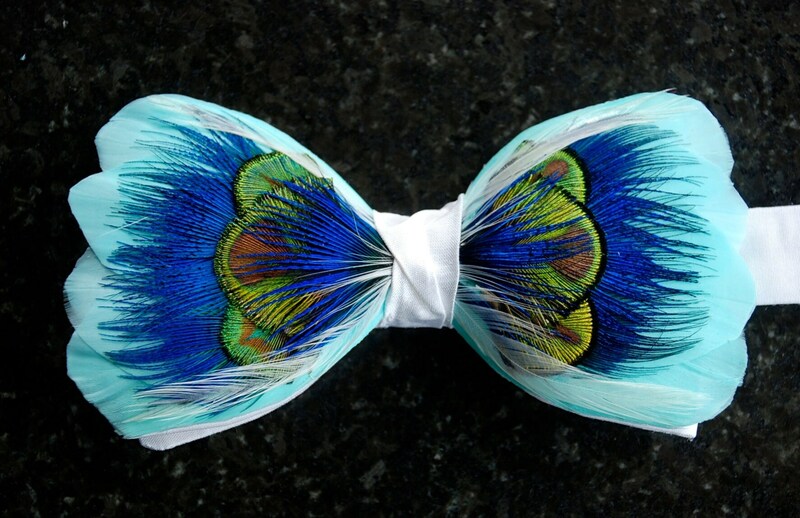 From the growing Peacock Feather Collection, this Bora Bora is set on a 100% silk white double bow tie base. It can, however, also be made available on a quality satin, and a range of others base colours can also be selected to complement your preferred design aesthetic. Blue is a popular base silk colour for this bow. The “Dancing Flame " and "Fire and Ice" bow ties, in hot orange red, green and gold hues, are also a complementary design match for group events, bridal parties and collectors alike.